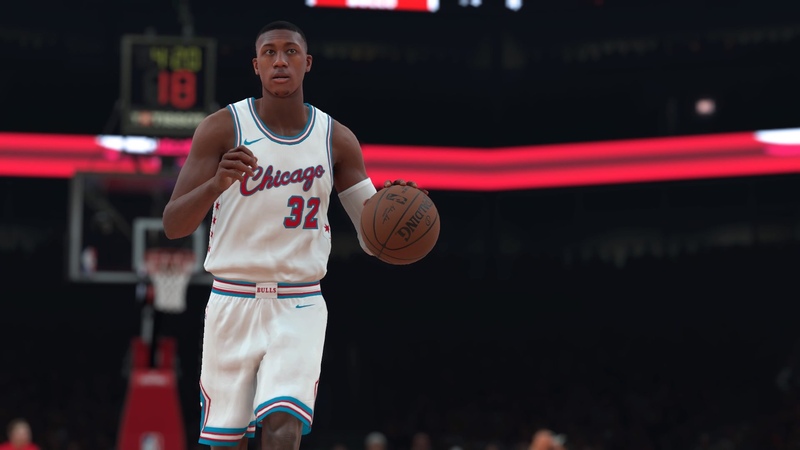 NBA 2K18 now features the Nike City Edition uniforms. Currently, the only teams that don’t have the new uniforms in the game are the Toronto Raptors, Miami Heat, Houston Rockets and New York Knicks. Check them all out below. Not all have been added. Heat, Knicks, Rockets and Raptors are missing. I'll wait until Miami/Houston/New York/Toronto unveil theirs before I get a new roster update. I hate how the uniforms are only connected to roster updates. 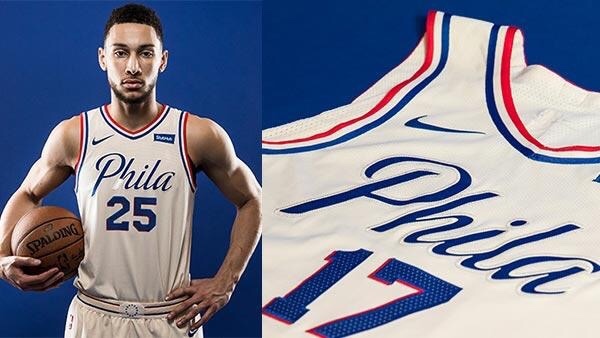 There is something off with he 76ers uniforms. Looks like somebody washed a red shirt in this load of white clothes except this particular white was your old undershirt that had turned grey and needed to be thrown out. So 2k is still struggling with the proper color palettes. They have been for forever. As someone who primarily plays Playground, I’m just waiting for the shorts to pop up in the NBA Store. They messed up on the Warriors blue. It should be darker just like the color on their leg accessory uniforms but instead it is a lighter blue. Before 2K18 came out the Clippers blue was very off based on some screenshots that was released. They fixed it before launch. I don't understand why they don't approve each jersey making sure it's the correct color. It's not that hard IMO..
Slightly off colors usually don't bother me on uniforms, but that Warriors color is WAYYYYYYY off. It almost makes me think the colors on the screen grab are messed up. It's that far off. I want to think Nike gave 2k a jersey to scan and then changed the colors on them. Same goes with the likeliness update. I'm glad they updated several players hair but they gave Aaron Gordon brown hair instead of his true color, black. I just don't understand how this gets passed the approval process before it gets put in the patch. Maybe their coloring system is just messed up. How do I get these jerseys. I’m play now they’re not available? Are you using the latest official 2k roster? I’m using the official 2 kninjury free roster. DO I️ have to use the regular roster to get these? What about in my league? Can i not use a custom roster for my league and get these? Try the roster with injuries. The jerseys and any shoes added will appear in your custom MyLeague roster. Download the current roster (with injuries). You can then go into edit player - vitals, then scroll down until you see health (injury), duration and remove injury. Remember to move the players from the reserve list back into the rotation. Use the method above to remove injuries. The injury free roster doesn’t get updated as much as the official roster. Sixers should be cream, not grey or whatever that is lol. Also, the piping should be inverted. Colors are in the wrong order. I dunno man lol. “Pinkish gray”??? Yeah it somehow looks way worse in-game. I can’t even look at it. 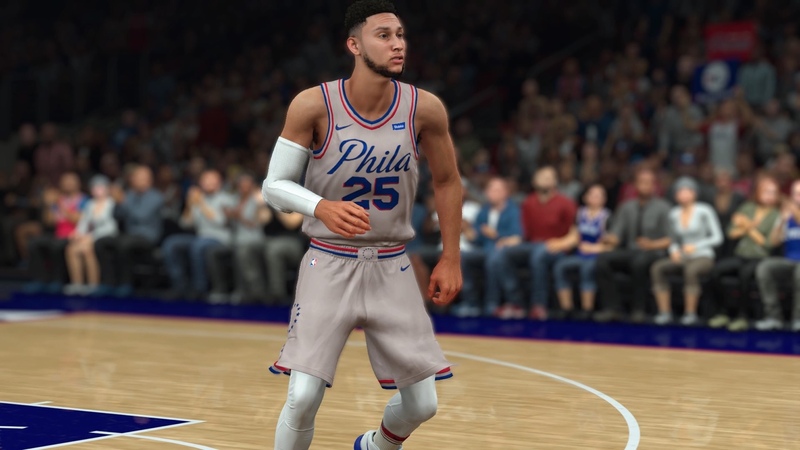 does the Live 18 uniforms look different ? 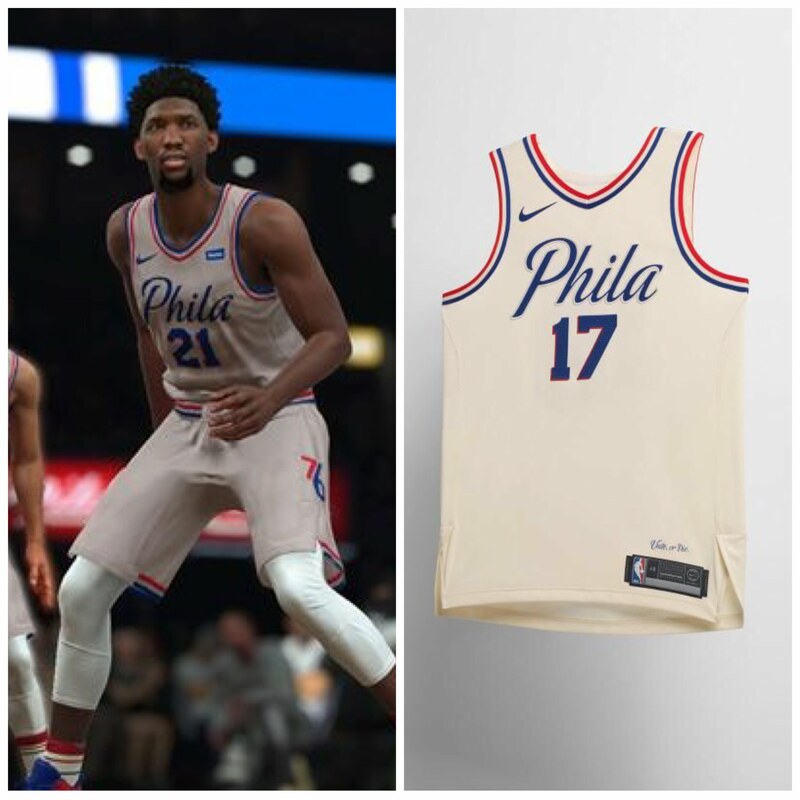 Live 18 jerseys are 10x better than 2K18. I mean the lighting, the coloring, the detail, it is way better. 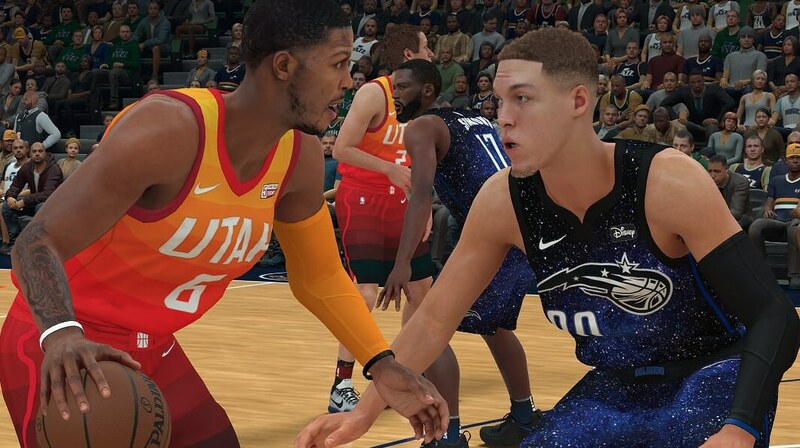 Live 18 has the jerseys and courts better than 2K18 and it pisses me off. Wish we can somehow combine them both. Have these uniforms made it to the Switch yet?? ?